One question we hear a lot is “Should we clean the carpets in our new house before we move in?” This seems like a basic question, but there are some things to unpack in order to answer this question. 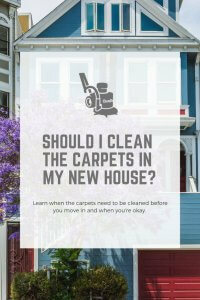 In this case, it should seem like you’ve got brand new carpets, so you shouldn’t have to clean them. However, you need to consider at what point in the process the carpets were installed. If the carpets were the very last thing installed in the house before you moved in, then you’re probably okay without cleaning them. However, that’s not usually the case. Usually, the carpets are installed, and then other small features of the house are finalized. In this case, your carpets might see lots of foot traffic (and construction boots aren’t clean!). If light fixtures or other featured are installed, your carpets will probably get a lot of dust and debris on them. Contractors will avoid getting your carpets too dirty, of course, but it’s always a good idea to be sure that you remove anything that built up in them. That’s why it can be a good idea to clean your brand new carpets before your family moves in. Are You Buying a Pre-Owned House? In this case, the answer is pretty cut and dry. Just think about everything that can be lurking in your carpets from the previous owners: pet dander, pet urine, smoke, germs, and much more. Carpets harbor tons of germs and bacteria, which you can release into the air of your home with every step. They also hold onto smells, so if there is a musty, smoky, or otherwise unpleasant smell in your home, the biggest culprit is likely the carpets. However, you might be able to convince your sellers to replace the carpets as part of the deal. This is something that happens when the carpets are very dirty or old and in desperate need of replacement. This doesn’t happen often, but if it’s the case, you can probably get away without cleaning the carpets before you move in because they are brand new. As you can see, there are some factors to consider when deciding whether you need to clean your carpets in your new house before you move in. However, in most instances it’s a good idea to clean the carpets so that you can start life in your new home on a fresh foot. 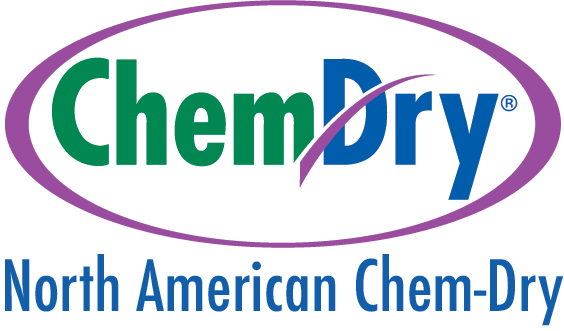 If you’re moving to the San Francisco area, North American Chem-Dry would be happy to clean your new carpets for you!